The answer is yes and no. Yes, if you are a dermatologist or an esthetician. No otherwise. I know, I totally led you on, but let me explain! Popping a zit isn’t as easy as you see on Dr. Pimple. It requires the right tools and techniques. When you don’t know what you are doing, you might push the bacteria and pus deeper into the skin. This causes more swelling, redness, and the acne will take longer to heal. If the tool you use are unsterile (aka your finger! ), it might create an infection, which can cause permanent scar on your face. I know it’s not what you wanted to hear. I mean, if you can’t stand the pus, hold a warm washcloth to the area, sterilize a needle, and make a tiny drainhole, and use sterile Q-tips to drain. Is that what you wanted to hear? I still don’t recommend it though. 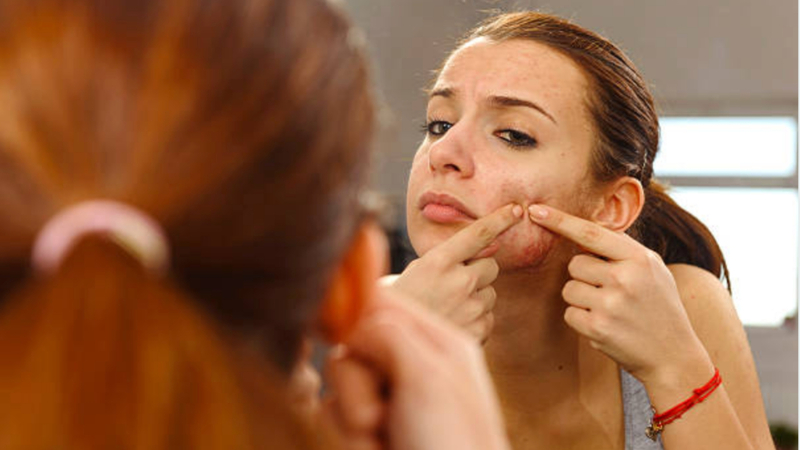 Regardless, popping your zit doesn’t solve the root cause of your acne problem. Until you treat the root cause of your problem, you won’t get clear glowing skin. If you really want to kick those zits @$$es, get Y’OUR customized skin care kit, slather it on your face, and say goodbye to acne once and for all.